After a long weekend working it was back to normal this morning; Monday’s are a no preschool day so we are free to do whatever we like – usually housework and boring stuff but today we were off to the theatre to see one of our favourite stories come to life onscreen – Stick Man, at The Orchard Theatre, Dartford. Stick Man was written by Julia Donaldson and illustrated by Axel Schefller along with other well known favourites like Room on the Broom and The Gruffalo. 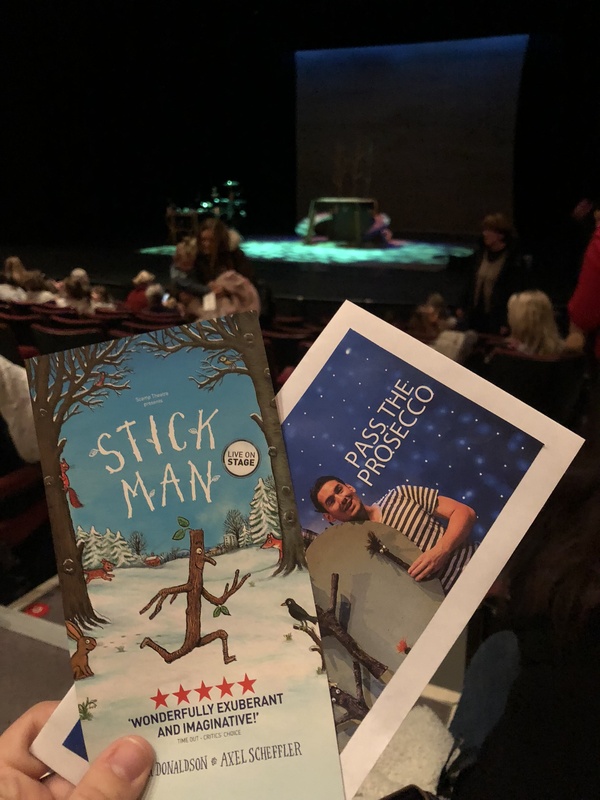 It tells the story of Stick Man, who goes for a jog one day and ends up on an unplanned adventure far from home – will Stick Man make it back to his family in time for Christmas? 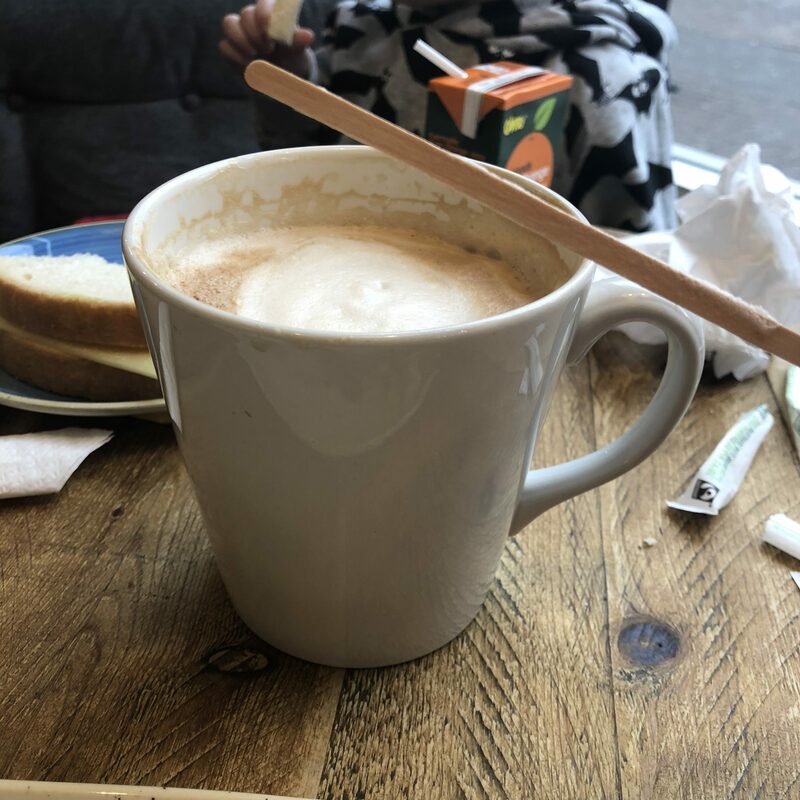 We arrived in Dartford and headed for some lunch which involved the largest coffee I’ve ever seen – and then headed over to the theatre. It was really busy, lots of excited little people around! Bucket of Gingerbread Latte. Glorious. After a little technical issue delaying entry and the start by ten minutes we found our seats and settled down. The stage was very basic – a sort of wooden table with ramps and a percussion/instrument setup was all that was there. I was intrigued to see how a book and cartoon would come to life on the stage – would it be people in costumes? 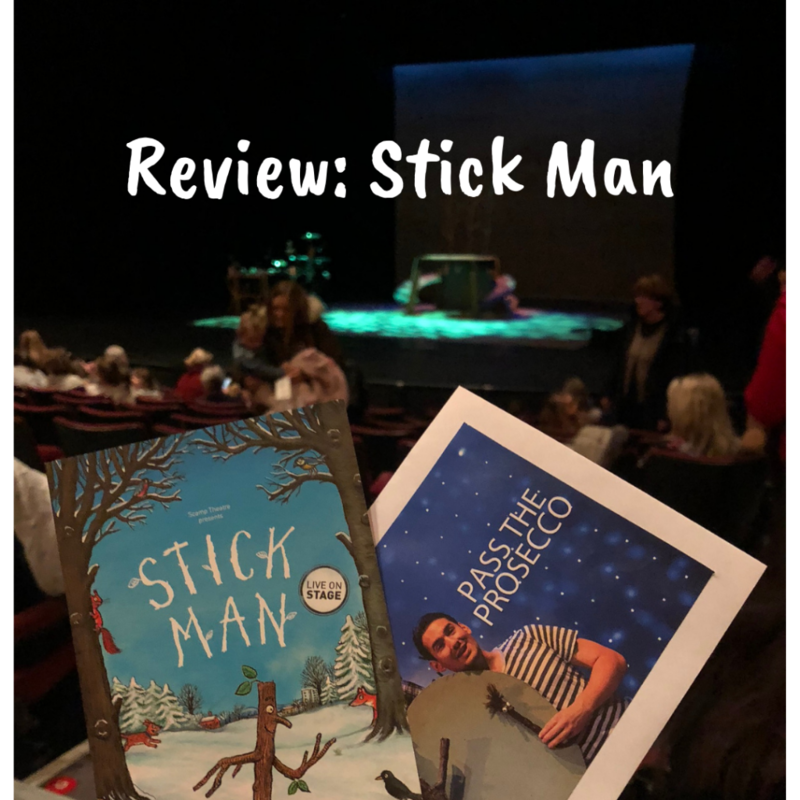 The company of three bounded onto the stage and I was a little baffled – they were dancing around and bashing sticks together, and then Stick Man, Stick Lady Love and the three Stick Children appeared. It’s quite hard to explain but the ‘puppets’ were handheld stick characters that they held and moved around but the actors played the parts They interacted with the audience through and my little man was hooked from the start. 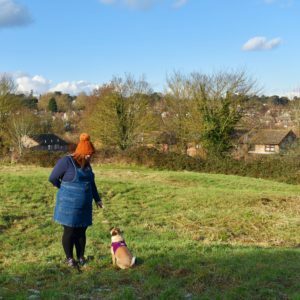 The show lasts 55 minutes with no interval and it’s the perfect length for little ones to not get bored and fidgety; it’s a lovely story and I really enjoyed it too – it’s suitable for ages 3+ but any age is welcome; it’s not too loud and the atmosphere was fun and relaxed, a lovely way to spend an hour. 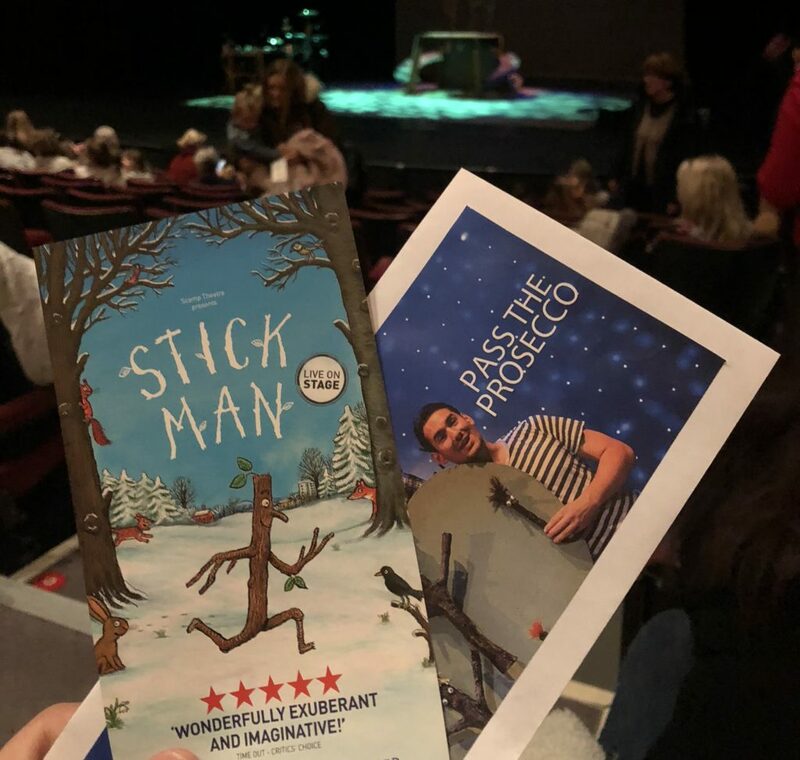 You can find more information on Scamp Theatre’s other shows and Stick Man here – I look forward to seeing other productions but would recommend Stick Man, it’s a lovely story that’s translated brilliantly to the stage.